Put away those strappy heels that brides have worn since the beginning of time, maybe? Marilyn Monroe knew what she was saying when she said, ‘give a girl the right pair of shoes and she’ll conquer the world’. This expression could also be extended to a bride who can conquer any whirlwind wedding with the right pair of shoes. What many brides don’t anticipate is that being a bride is not all rainbow and butterflies, it’s a lot of standing, fake smiling and shuffling around to pose for pictures and possibly not getting a minute to rest. 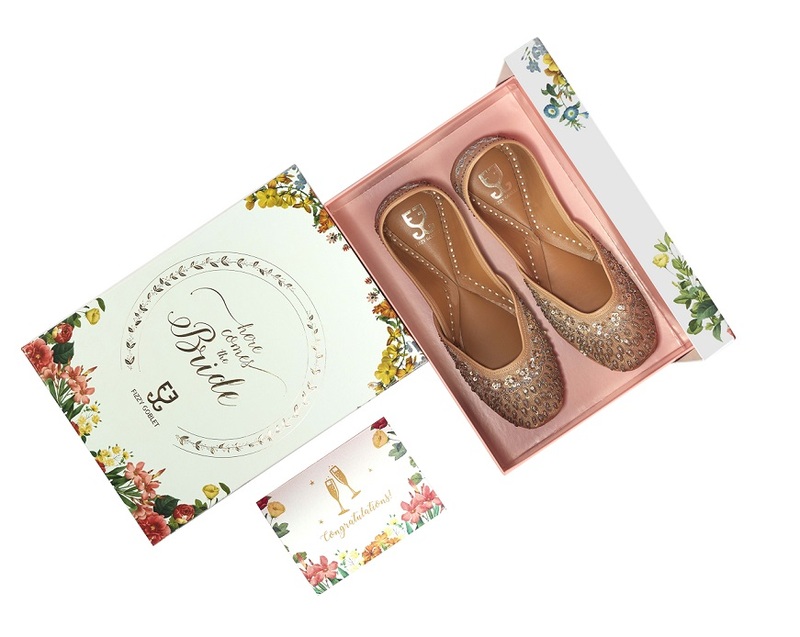 So if you’re planning a wedding in the coming months — you need to opt for comfortable shoes that not only feel like you’re walking on clouds but that also do justice to the occasion, your outfit and your personality. We list our picks from these six brands that are a mix of everything you’d be looking for. What we love: It doesn’t matter if you’ve decided to ditch the traditional lehenga and roll with a gharara, a gown or even cigarette pants for your nuptials. If nosy relatives scoff at your complete dismissal of anything remotely traditional in your bridal ensemble, all you have to do is direct their attention to your feet. Papa Don’t Preach’s new Haute Couture 2018 collection includes a range of shoes that feature adorable net veils and delicate chains attached to a nath. For the feisty bride that is all about showing ample leg — and why not — the collection also has a pair of handcrafted stilettos in faux leather with buckled straps that go all the way up to the thigh. What we love: If you’re anything like Liv and Emma from Bride Wars and have been planning your respective weddings since you were in pigtails, you’re going to want to make sure all eyes are only on you on your special day. Wearing the perfect outfit simply won’t be enough, you also have to have the shoes to match. That’s where Laksheeta Govil’s new bridal box comes into the picture. 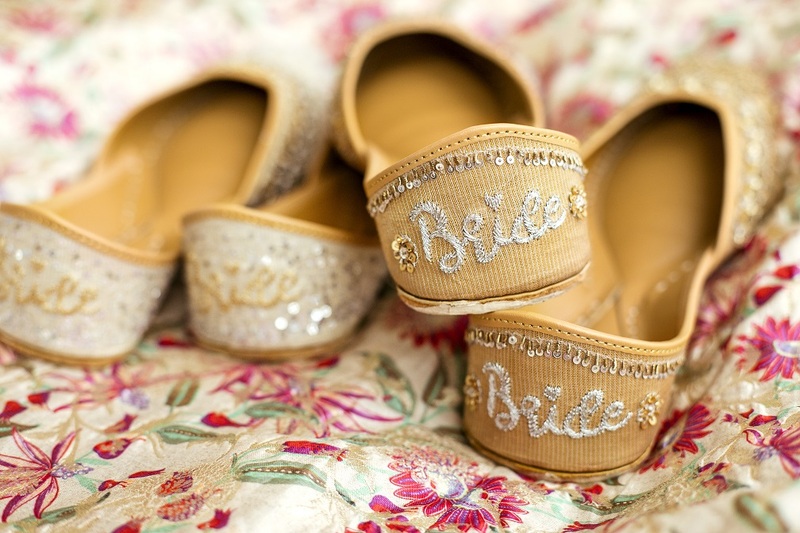 With muted gold and silver juttis that have the word ‘bride’ embroidered onto them, you can rest assured that everyone will know exactly who you are even if you have your back turned. 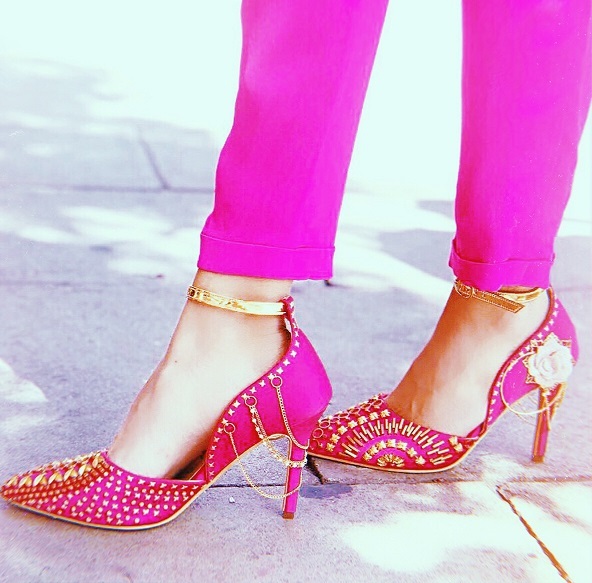 What we love: Brides are expected to wear towering heels that ensure their lehengas aren’t sweeping the floor behind them. 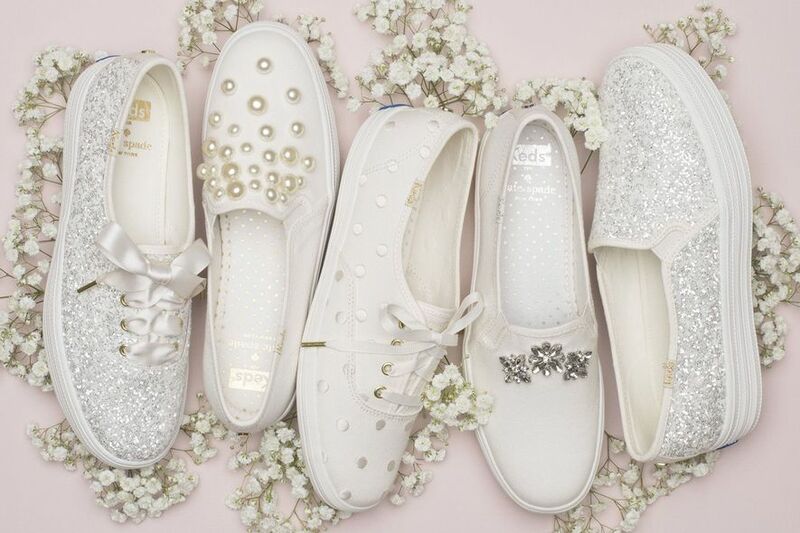 But what if we told you that you could jettison the heels out of your bridal trousseau and instead, pick snug shoes that look just as good, if not better? 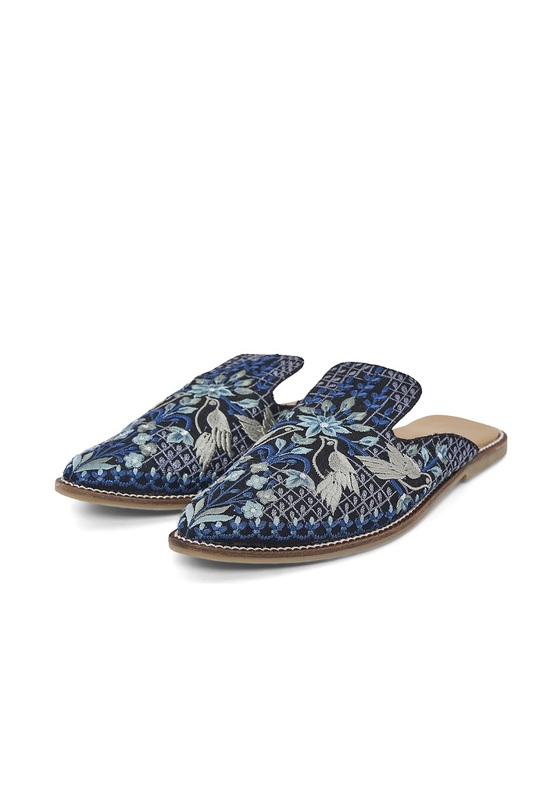 Anita Dongre’s line of intricately embroidered, easy-breezy mules serve exactly that purpose. 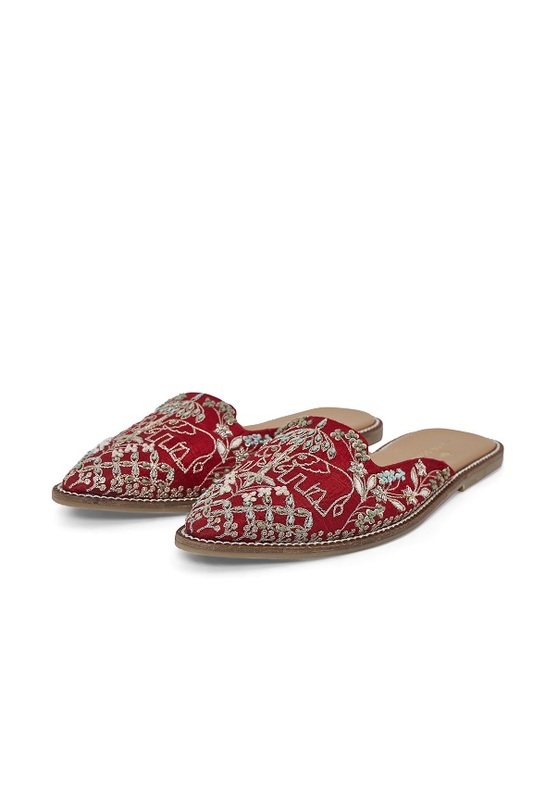 Available in a range of colours that also includes traditional red, the shoes have beautiful motifs of flowers, birds and elephants stitched onto them and are reminiscent of the motifs that frequently appear on Dongre’s clothes as well. 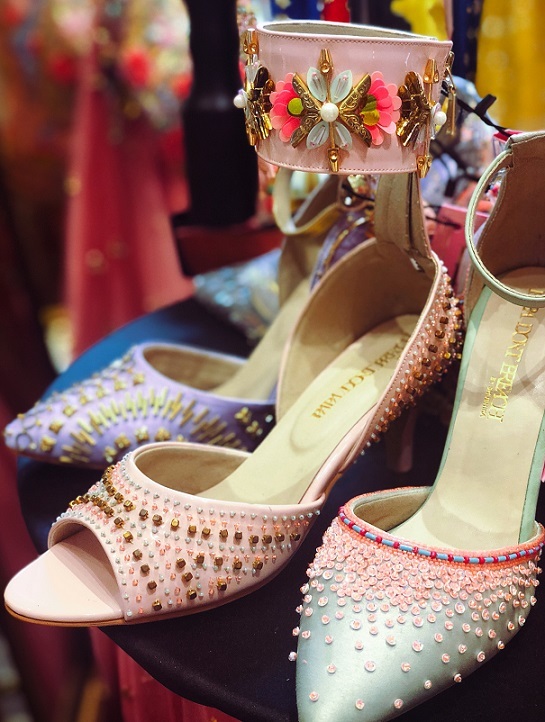 What we love: Judging by the way sneakers have made a snazzy comeback from being a college-kid staple to practically all-occasion wear, a comfortable pair of trainers is no longer the craziest thing you can wear under your lehenga. 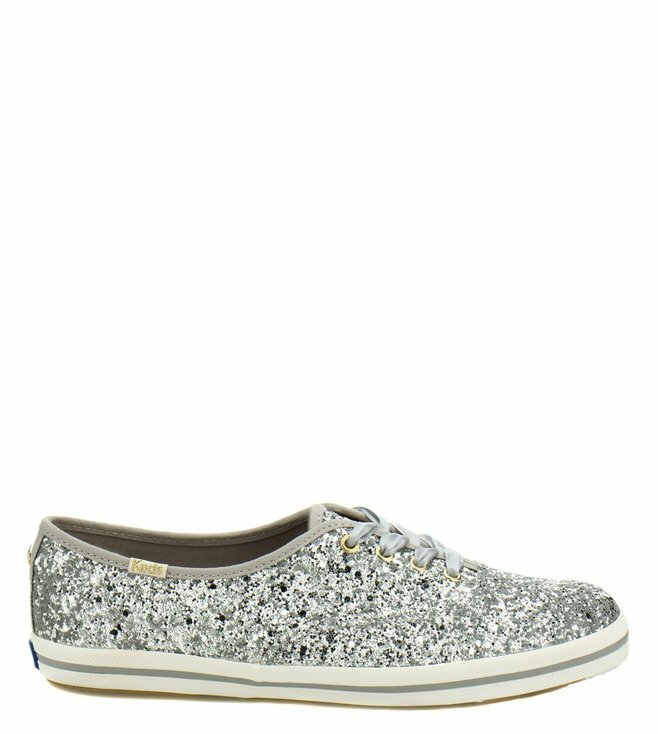 Especially when they come in the form of these sparkling, embellished sneakers from Kate Spade. Working a canvas construction, the shoes are rendered with soft-cushioned interiors that your sore feet will thank you for if you intend to have the kind of wedding where you don’t get to stay put. 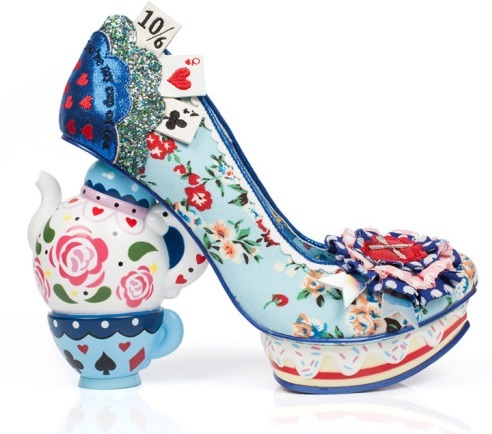 What we love: If you are the kind of bride that doesn’t shy away from going completely OTT with concept shoes that feature the most whimsical designs in the world, Irregular Choice should be your go-to brand. 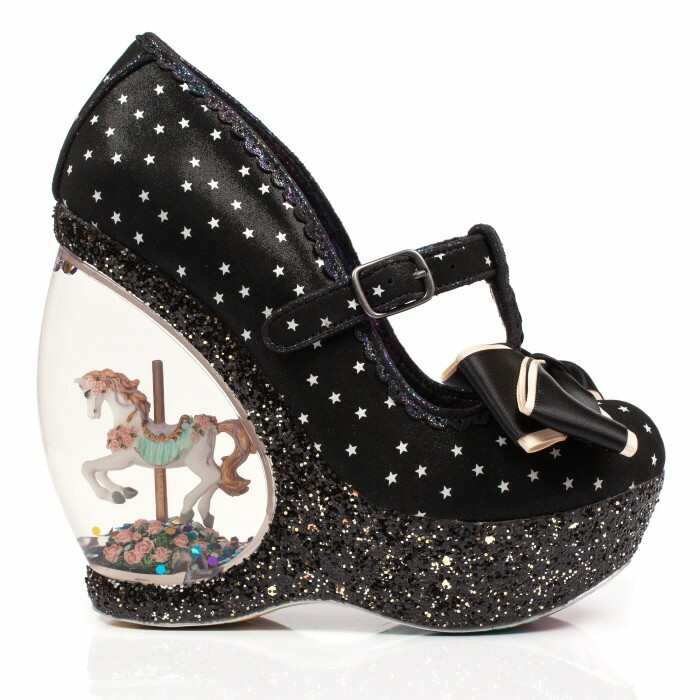 With embellished heels, ornate wood carvings, precious charms and lavish fabrics, founder Dan Sullivan claims that he is constantly creating styles, photos and sketches in order to meet the demands of an ever-expanding customer base. 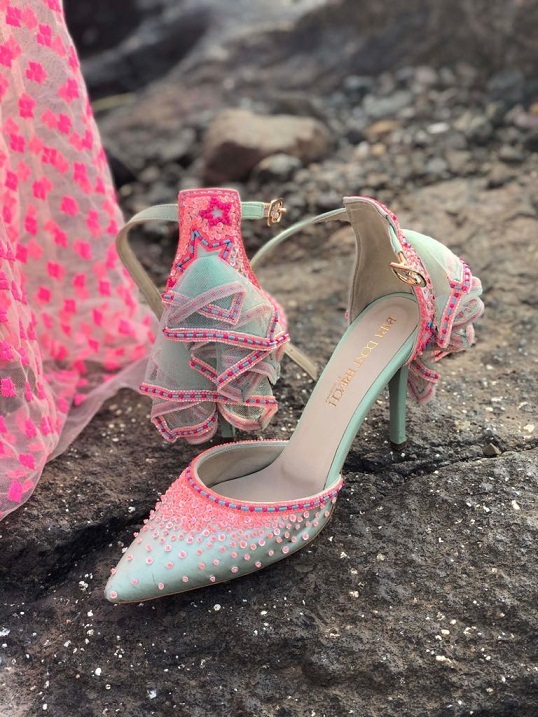 And we have absolutely no trouble believing that because what bride wouldn’t want to wear a pair of shoes under her heavy bridal lehenga that narrated a story in itself — whether it’s about growing up on tales of Alice’s adventures or falling in love with your to-be partner on a carousel. 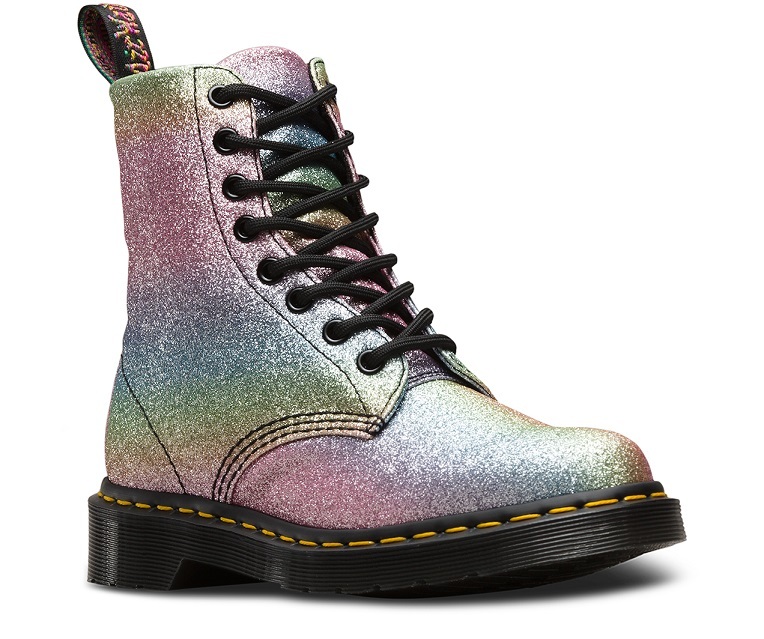 What we love: It’s as if these boots were tailor-made to fit the aesthetic of the rebel bride. 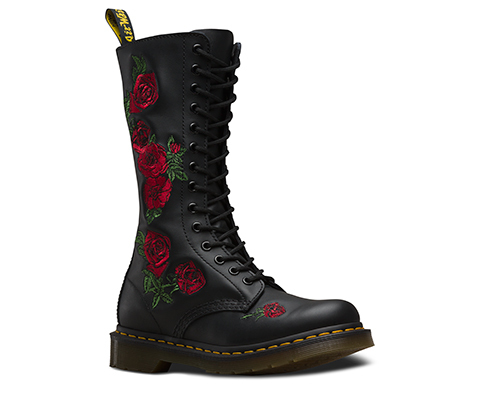 Originally marketed as a modest work-wear boot that was even sold as a gardening shoe at one point, Doc Martens has now transformed into one of the most culturally relevant brands of the modern era. 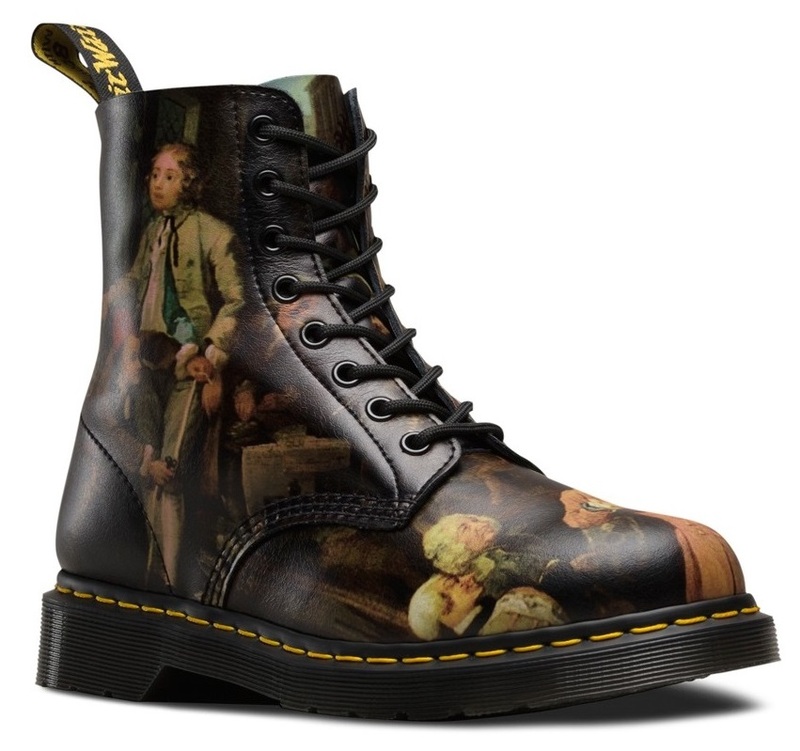 Famous for their trademark all-black combat boots, the brand has constantly reinvented itself by coming out with newer versions of the original shoes — recent collections feature limited edition Halloween specials, renditions with artworks by popular artists and even a kaleidoscopic LGBTQIA pair. For someone who doesn’t want to want to give up their wild side even on their wedding day, Doc Martens’ boots will show your guests just what you’re made of. 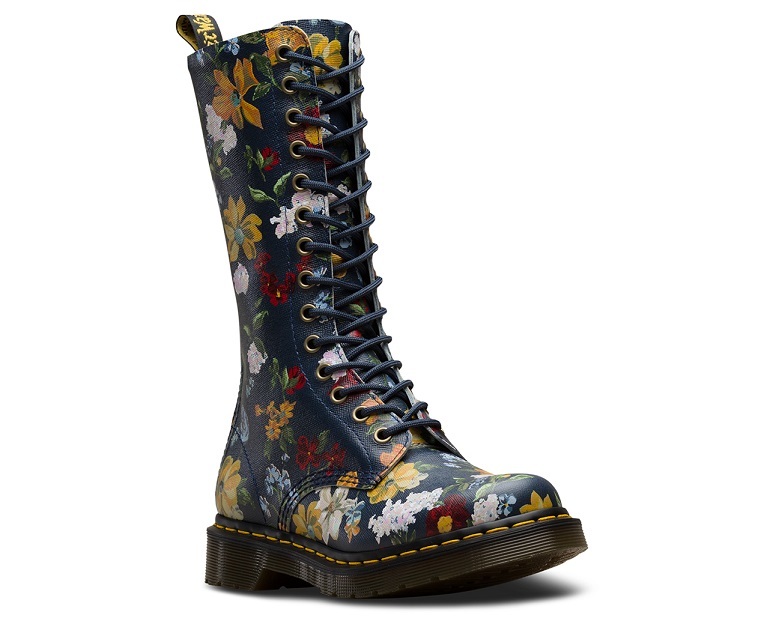 Brownie points for having lace-up boots with flowers painted on to them — those will go just fine with your floral ensemble.